As of 6 December 2018, new SRA transparency rules require us to provide a range of prices for certain services. • The Sale of Freehold or Leasehold properties. Where Steinfeld Law is instructed in relation to the purchase of a residential freehold property, our fees would typically range from £3,000-£15,000. This range is based on hourly rates between £125 and £425. The applicable hourly rate will depend on the overall complexity of the matter as this shall impact on the required experience of those individuals dealing with the transaction. This above range does not include VAT which is currently at 20%, nor does it include any disbursements (see below). Additionally, the above range assumes that this is a standard transaction and that no unforeseen matters arrive. Details of any unforeseen matters will be provided to you in the firm’s engagement letter prior to the work being undertook, along with a more bespoke fee estimate having regard to the precise nature and scope of the proposed transaction. Our fees cover all of the work required to complete the purchase of your new property, including dealing with registration at the Land Registry and the handling of payment of Stamp Duty Land Tax (SDLT). • completing the purchase and confirming all registration formalities. Disbursements are costs related to your matter that are payable to third parties and they do not form part of our fee. We handle the payment of the disbursements on your behalf to ensure a smooth process, but we may require the receipt of some funds in the interim to cover such expenses. The amount of SDLT payable will depend on the purchase price of the property and your personal circumstances, for example whether or not you are a first-time buyer. You can calculate the amount you will need to pay using the HMRC SDLT Calculator, which can be found here. We will require receipt of funds for SDLT before we can complete your purchase. There are a number of factors that will impact the time it will take between your offer being accepted and the matter completing. On average, the purchase of a freehold residential property takes between 6-16 weeks. A range of external factors can, however, cause such timescales to be altered, particularly if your transaction forms part of a chain. In these circumstances, where the transaction looks as though it may become more prolonged, we will contact you to revisit our original fee estimate. • Registering the transfer deed with the Land Registry. Where Steinfeld Law is instructed in relation to the purchase of a residential leasehold property, our fees would typically range from £3,000-£15,000. This range is based on hourly rates between £125 and £425. The applicable hourly rate will depend on the overall complexity of the matter as this shall impact on the required experience of those individuals dealing with the transaction. This above range does not include VAT which is currently at 20%, nor does it include any disbursements (see below). Additionally, the above range assumes that this is a standard transaction and that no unforeseen matters arrive. Details of any unforeseen matters will be provided to you in the firm’s engagement letter prior to the work being undertook, along with a more bespoke fee estimate having regard to the precise nature and scope of the proposed transaction. In the event the lease needs to be extended, this will also impact on our fee estimate. • sending a notice of assignment to the landlord or its managing agents. • Notice of transfer fee – this fee is chargeable only if it is set out in the lease, and is often between £50 and £100. • Notice of charge fee (in the event the property is to be mortgaged) – this fee is set out in the lease, and is often between £50 and £100. • Deed of covenant fee – this fee is provided by the management company for the property (where relevant) and can often be difficult to estimate, ranging between £75 and £200. • Certificate of compliance fee – to be confirmed upon receipt of the lease, as above, and can range between £50 and £100. An additional cost to be aware of when purchasing a leasehold property is that ground rent and service charge are likely to apply throughout your ownership of the property. We will make inquiries of what these are to be, and will confirm them with you as soon as we are able to ascertain such information. • Registering the notice of transfer with the landlord or its managing agents. Where Steinfeld Law is instructed in relation to the sale of a Freehold residential property, our fees would typically range from £2,000-£10,000. This range is based on hourly rates between £125 and £425. The applicable hourly rate will depend on the overall complexity of the matter as this shall impact on the required experience of those individuals dealing with the transaction. Our fees cover all of the work required to complete the sale of your property, including dealing with the redemption/discharge of any existing mortgage(s). • completing the sale, including discharging any mortgages and account to you for the net proceeds of sale. 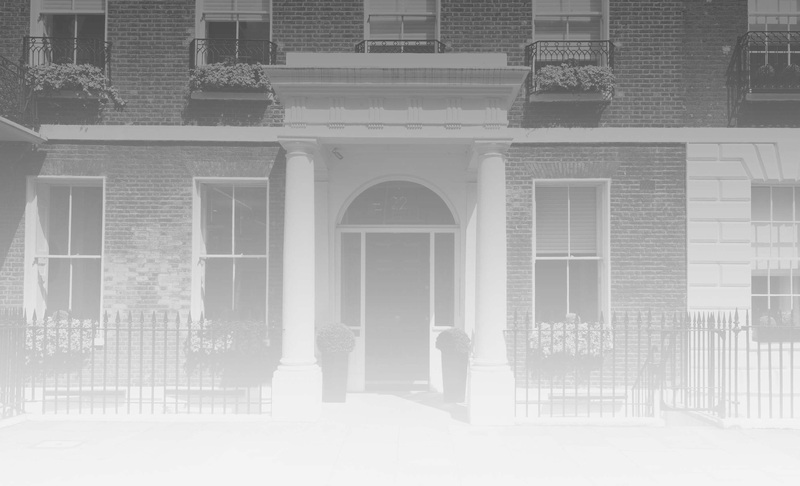 Typically, however, there will not be any disbursements incurred in relation to the sale of a freehold property. There are a number of factors that will impact the time it will take between you accepting an offer and the transaction completing. On average, the sale of a freehold residential property takes between 6-16 weeks. A range of external factors can, however, cause such timescales to be altered, particularly if your transaction forms part of a chain and you are purchasing a property at the same time. In these circumstances, where the transaction looks as though it may become more prolonged, we will contact you to revisit our original fee estimate. • Completing the sale, discharging any mortgages and account to you for any net proceeds of sale. Where Steinfeld Law is instructed in relation to the sale of a Leasehold residential property, our fees would typically range from £3,000-£14,000. This range is based on hourly rates between £125 and £425. The applicable hourly rate will depend on the overall complexity of the matter as this shall impact on the required experience of those individuals dealing with the transaction. This above range does not include VAT which is currently at 20%, nor does it include any disbursements (see below). Additionally, the above range assumes that this is a standard transaction and that no unforeseen matters arrive. Details of any unforeseen matters will be provided to you in the firm’s engagement letter prior to the work being undertook, along with a more bespoke fee estimate having regard to the precise nature and scope of the proposed transaction. Additionally, the above assumes that where any lease extension is to be granted, this process is to be carried out by the purchaser’s solicitors. • if applicable, fees payable to the landlord’s solicitors for a license to assign. • Completing the sale, discharging any mortgages and accounting to you for any net proceeds of sale. The above should provide you with an indicative sense of Steinfeld Law’s pricing for residential conveyancing, but should you wish to discuss these matters further, please do not hesitate but to contact Vikki Davis on +44 (0) 207 725 1316 or via email Vikki.davis@steinfeldlaw.co.uk.